Friends, Romans, countrymen, we have the perfect slot for you! 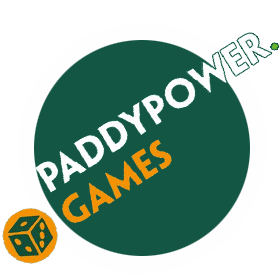 Ave Caesar at Paddy Power Games has four amazing bonus features and a stunning design. You are going to love it more than a day out at the Colosseum! 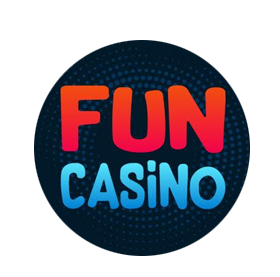 The game itself is set against the backdrop of the Roman forum; a place where the Ancient Romans used to come to meet and discuss important issues thus making it the perfect setting for the important business of this slot game. The design of the slots themselves has been handled with a careful hand. The lower paying symbols are Roman numerals everyone should be familiar with; I, II, III, IV, and V. The higher paying one are all characters one could expect to find in the Roman Empire. There is a beautiful woman, a Roman centurion, and a General. There is also a golden coin with the name of the game. 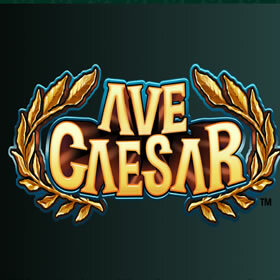 The Wild bears the noble face of Caesar himself and there are 5 scatters for activating the bonus spins. To activate them, you must first land two of the Eagle standards the Legions used to bear before them together with one of the four alternative scatters which dictate which of the special rounds you will get. The first is Caesar and a pretty girl which activates the Caesar’s Conquests bonus game. This is a simple pick and choose bonus round where you simply have to find the pretty girl in one of three tents. Keep going until you fail to find her and collect your reward. The second scatter is a dagger in a map and this activates the Roman Empire Bonus. This allows you to pick which territory the Romans will next conquer. 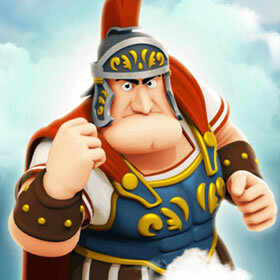 You earn money by winning battles and completely conquering each territory. The number of troops you have decreases after each battle and you collect your winnings when you have none left. The third scatter is the Colosseum free spins. You get 10 free spins and Sticky Wilds, allowing for you to really rack up the wins. There is also a +1 symbol in the 5th reel which grants an extra spin whenever it lands. The final scatter features a Druid and the bonus has 10 free spins. He conjures up one of the following goodies for his free spins; Doubling Wilds which grant a 2x multiplier if used in a win, Wild I and II symbols, Sticky Wilds, or a moving Wild reel. These aren’t the only special features in the game. On any spin, Hannibal can drop an army of elephants onto the reels which leave a trail of Wilds in their wake. The Gaul could also appear, throwing stones at the symbols and transforming them all to the same and to a big win. Finally, Caesar could make an appearance and offer you an instant win parchment. With 20 paylines and bets between £0.20 and £40, this is certainly a slot that can please everyone! If you are a fan of all things Roman, you definitely need to check it out! You can play this slot machine game and 100s more like it at Paddy Power Games. Joining is easy and only takes two minutes, plus new customers get a Welcome Bonus of £30. New customers only. Free spins added to accounts verified by SMS only. x1 wagering applies to winnings. X10 wagering on £30 deposit bonus, selected games only, eWallets excluded. Full T&C’s apply.